Original, quality pair of late 19th century finely detailed cast iron shelf brackets embossed with a registration lozenge mark for the year 1878. This top quality pair have superb detail of ivy leaves and berries and have three countersunk screw holes for mounting to each back rail and top section. All has been cleaned and lacquered and are complete and in good and working order. 13.75" tall, 12" front to back + 1.3/8 " wide. Original, quality 1920's pair of decorative cast iron cistern brackets ideal for shelf supports. This pair have an Art Nouveau style and three countersunk screw holes to each backplates for mounting. One side is cast "No 35" and to the other 8". Cleaned and lacquered and complete and in good and working order. Backplate 1.5" wide, total 7" tall and 8.25" front to back. Pair of original, quality, late 19th century, cast iron wash basin brackets with a good decorative Art Nouveau design and embossed "No 21" and the registration number for the year 1893. The backplates each have three countersunk screw holes for mounting and all has been cleaned and lacquered. These larger brackets are ideal as shelf brackets and are complete and in good and working order. Backplate 11.5" x 2.75", total 13.75" front to back. Price is for the pair. 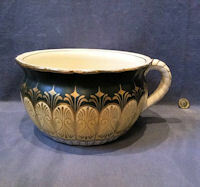 Original, quality late 19th century green and yellow ceramic chamberpot with gilt decoration and a rope twist side handle. All is complete and in good and working order. 5.25" tall x 9" top diam and 10.75" front to back including handle. 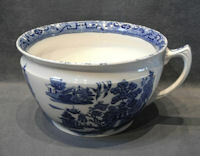 Originally part of a toilet jug and basin and set and the matching jug may well be available ref code J139. 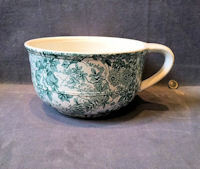 Original, quality late 19th century green on white ceramic chamberpot with a side handle and decorated with all manner of flowers and leaves in an Aesthetic Movement design. The underside has a printed registration lozenge stamp for the year 1878 and an embossed lozenge mark and a transfer logo detailing 'B W & M' for the manufacturer and "Patagonia" for the pattern. All is complete and in good order. 5.25" tall, top diam 9.25" and 11" wide including handle. Original, quality, circa 1900, white ceramic chamberpot with a side handle and decorated with ribbon swags, roses and a laurel wreath band under the rim. The underside is printed for the manufacturer "Foley China England". Complete and in good order. 5.5" tall x 10" widest diam and 11" wide including handle. 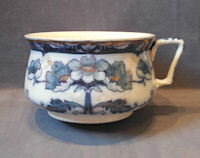 Original, quality late 19th century white ceramic chamberpot decorated with designs of apple blossom and fruit in sepia. 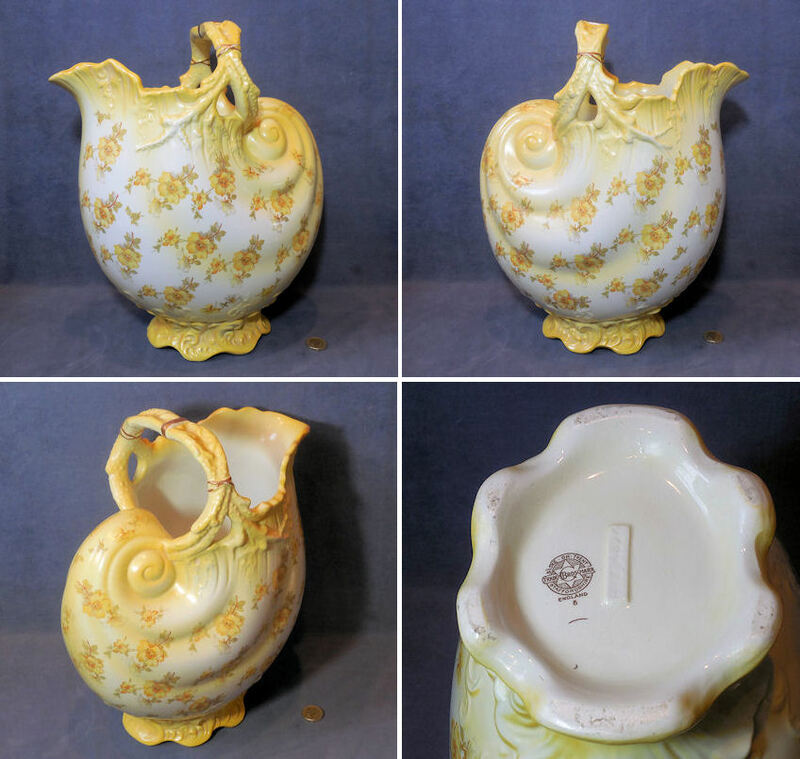 The side handle has the form of a mythical creature, and the underside of the pot is impressed "Ivory" and the registration number for the year 1884. Complete and in good order. Top rim 8.75" diam, 11.5" wide and 5.5" tall. 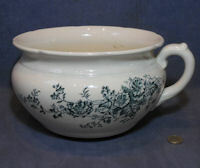 Original, quality 1920's white ceramic chamberpot decorated with detail of flowers in green transfer to three sides. Complete and in good order. Top diam 8.75", 5.25" tall and widest 10.5" including side handle. 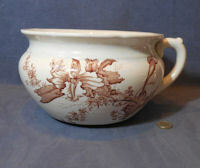 Original, quality 1920's white ceramic chamberpot with designs in sepia of orchids to each side. Complete and in good order. 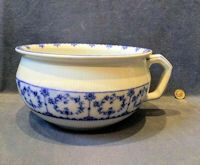 With a blurred manufacturer's logo to the underside for a Staffordshire Pottery. Top diam 8.75", 5.25" tall and widest 10.75" including side handle. Original, quality 1920's white ceramic bourdaloue, with a shaped handle to one end and impressed " Terre De Fer France " to the undersdie. Looks good but it does have a crack to the handle and short crack to the front end. 10" long x 4.5" and 3.75" tall. Original, quality 1920's white ceramic bourdaloue with a shaped handle to one end, no makers details but in superb order thoughout. Difficult to find these in good order today. 10" long including handle and 4" x 4" tall. 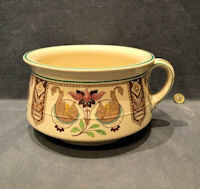 Original, quality, late 19th Century, cream coloured chamberpot with sepia decoration in the Aesthetic Movement style. The main body has two cameo pictures, one of a temple overlooking a river and the other of a church in a town square, both with oriental figures. Other decorations include two pairs of flying cranes, two scrolls of fruit blossom and flowers to the handle and top rim. The underside is embossed with a registration lozenge mark for the year '1882' and impressed for the manufacturer 'Copeland'. Complete and in good order. 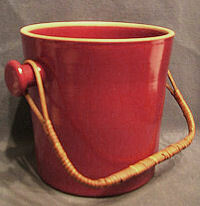 5.25" tall, 9.75" top diameter and 11.5" wide including side handle. 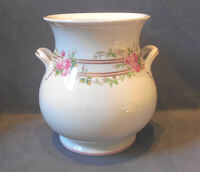 Original, quality, late 19th Century pink decorated on white ceramic chamberpot, with gilt detail. This example is of a meduim size and apart from some rubbing to the gilt all is complete and in superb order. Top diameter 8.5" x 10" wide and handle x 5" tall. 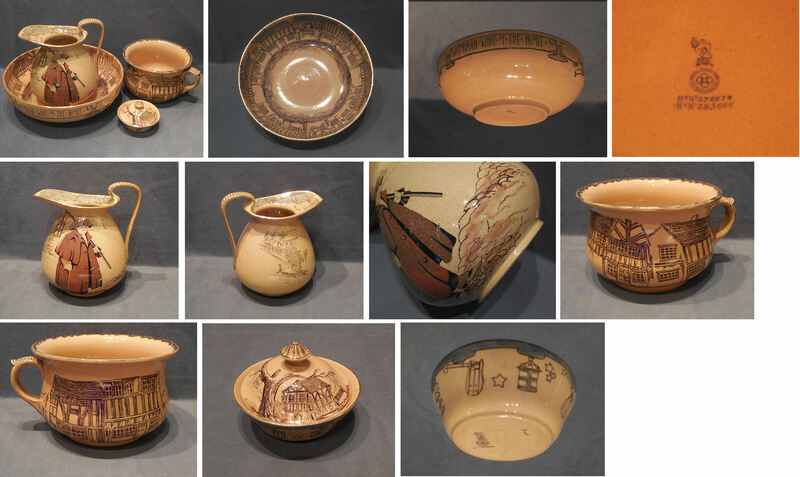 Original, quality circa 1900 / 1920's pale orange on white ceramic toilet jug and basin with an oriental river scene with trees and boats in black to both. 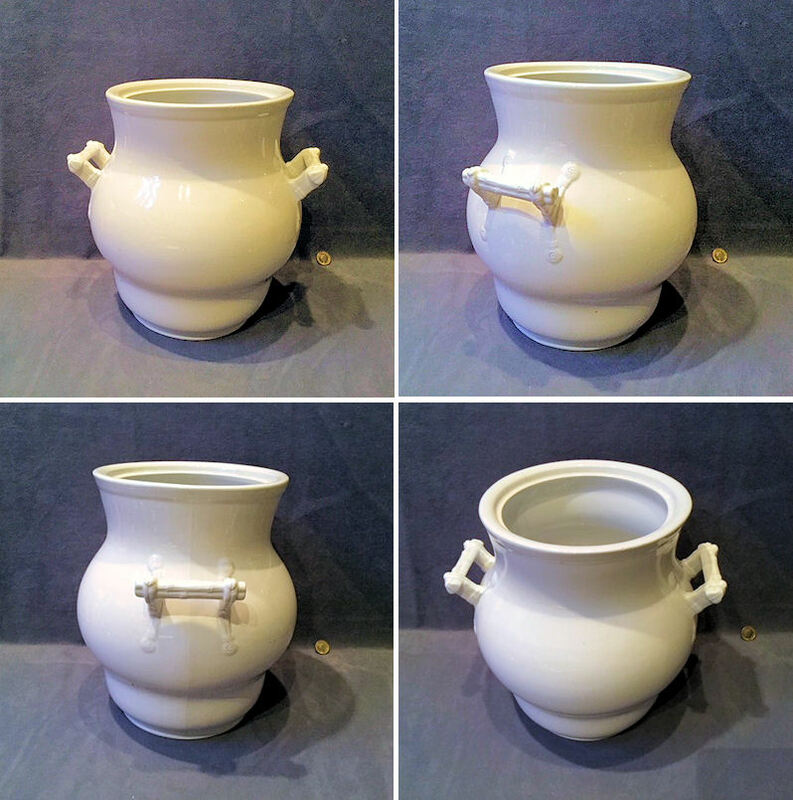 The jug has a side handle and a part castellated top rim. Both items are perfect and complete. 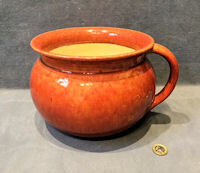 Jug 13.5" x 9.25" including handle. 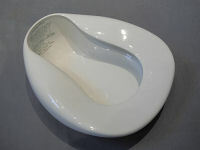 Basin 16.5" diam + 5.25" tall. 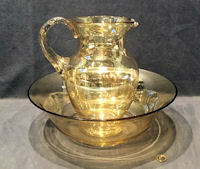 Original, quality 1920's clear glass with a lustre bloom toilet jug and basin. This super pair is in mint condition with no chips, cracks or blemishes and has good wear marks to the underside of both pieces. The jug has a good side handle and pouring lip and all is a little larger than average. 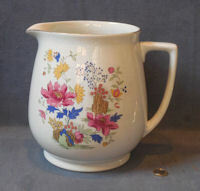 Jug 12" tall + 10.5" front to back including handle. Bowl 15.5" diam + 5.25" tall. 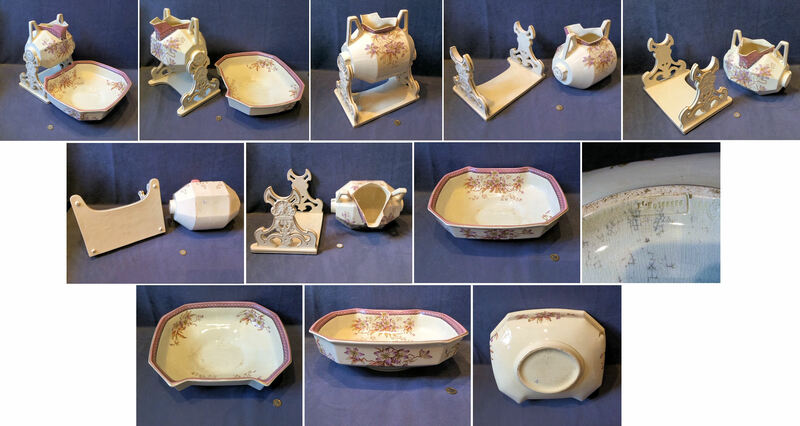 Original, quality late 19th century three piece set of cream coloured ceramic tilting Ewer on a stand with matching rectangular shaped Basin / Wash bowl. The stand is embossed to each side and gilt lining to the edges and the basin and ewer have matching transfer floral decoration of pale purple and pink clematis type flower and leaves and both the ewer and bowl are impressed to the underside with the registration number for the year 1891. Some minor stains to the interior of the basin and one lug restored to the pivot area of the ewer. 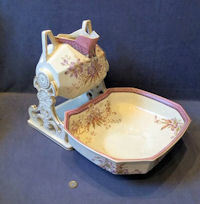 A really super tilting wash basin set the first we have seen of this model and ready for use. 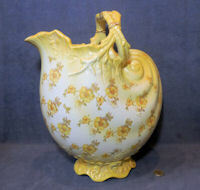 Ewer on stand 12.5" x 9" front to back and 14" tall. Bowl 15.75" x 13" x 5" tall. Price is for the set. 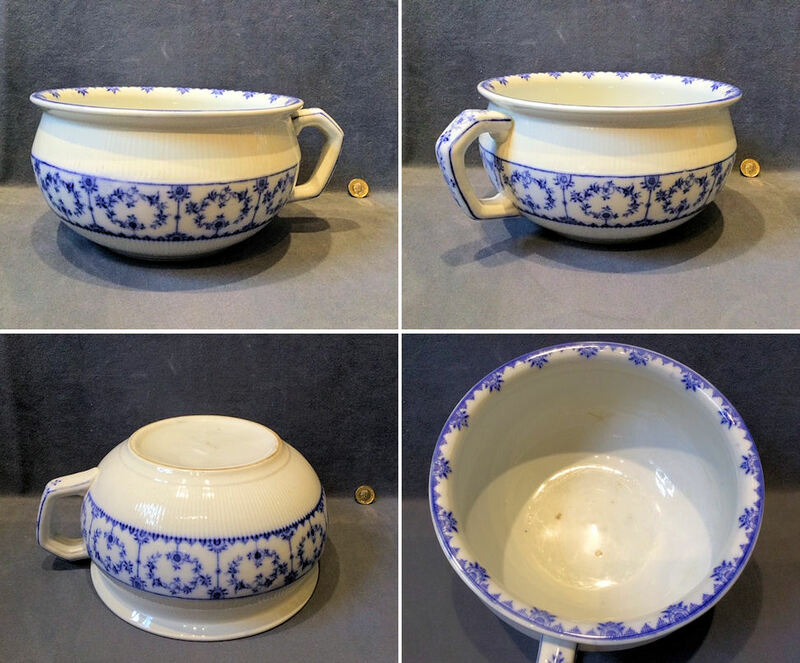 Original, quality, 'Watchman Series' four piece, matching, original Royal Doulton ewer and basin, chamberpot and soap dish, with lid. 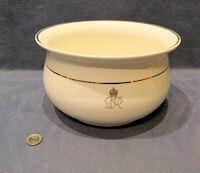 The undersides are all marked with the printed detail of the Royal Doulton logo with the lion on the crown and with the registration number for the year 1902. 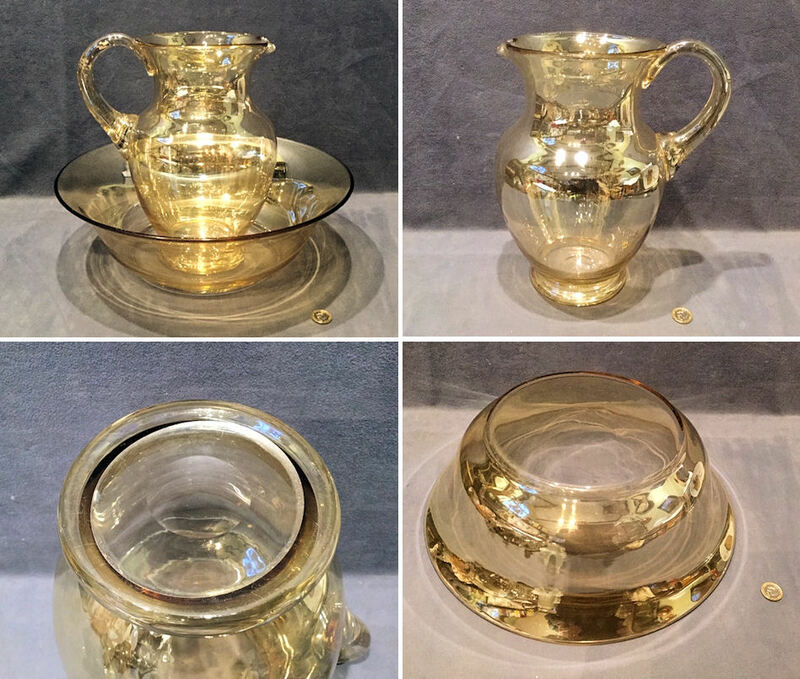 The bowl, chamberpot, soap dish and lid are all perfect, but the jug has a large crack which has been repaired with six old brass rivets, a super old repair. This set has a buff coloured background colour with sepia detail and the occasional infill of pale blue. The bowl is decorated inside with a continuous picture of timber framed houses with cobbled street and the outside has ribbon swags detailing "Watchman What Of The Night" three times. 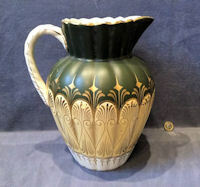 The jug, of a serious Art Nouveau shape, has timber framed building and a large picture of the Watchman with his lantern over his shoulder. The chamberpot again has timber framed buildings around the outside, the soap dish has similar to the lid with hanging lantern and calling rattles to the outside of the base, although the drainer from the soap dish is missing. Apart from the repair to the jug, all is complete, in superb order and very desirable. 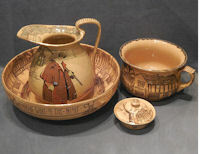 Jug 10.5" x 9" wide + 10" front to back, bowl 15" diameter x 4.75" tall, soap dish 5" x 3.5" tall, chamberpot 9" x 5.75" tall and 10.5" including handle. 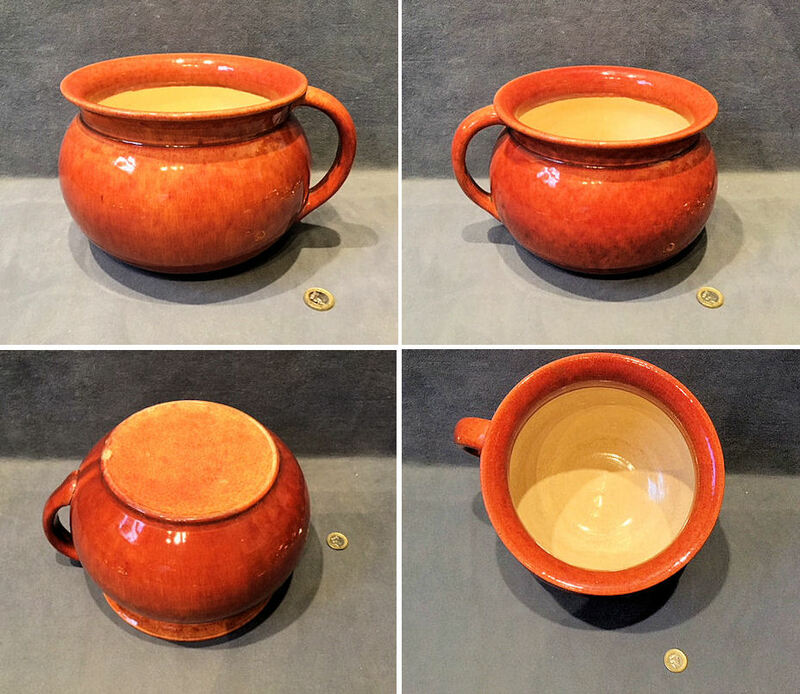 Original, quality, cream coloured ceramic ewer, originally part of a jug and basin set. This example is decorated with coloured scenes of geese on a pontoon over a pond with bullrushes and water lilies and has anaesthetic movement design border to the topside and underside of the rim. Transfer printed to the underside with the logo for "Oriental Ivory" manufactured by "Bishop Stonier" and has the embossed registration number for the year 1887 and "Severn" for the pattern. All is perfect and complete. 9.75" tall, 9.5" wide including the handle and 7.5" front to back. Original, quality ceramic toothbrush jar, circa 1900, in the Art Nouveau style. 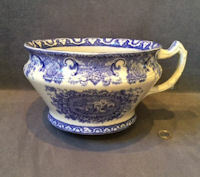 Originally came as part of a ewer and basin wash set. Pure white with a gilded band to the neck and to the top rim. Complete and in good order. 5.5" high and 3.5" widest. 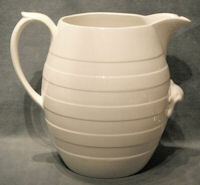 Original, quality 1920's/30's large white ceramic ewer originally from a toilet jug and basin set. This example has transfer floral decoration and is detailed to the underside for the manufacturer "Lawley's Norfolk Pottery Stoke". Complete and in good and working order. 9" tall, 8.5" body and 10" including handle. Original, quality 1930's, surface mounted chrome on brass three piece loo door bolt set. When the bolt is slid across to bolt the door inside the room, the window will change from "Vacant" to "Engaged". Each backplate has four countersunk screw holes for mounting and the keep plate has two. This bolt can be used on either left or right handed doors. Fully overhauled, polished and complete and in good and working order. Indicator panel 2.5" x 2.25", bolt backplate 3" x 1.25", keep plate 1.5" x 1". Price is per set. Original, quality late 19th century off white ceramic spherical shaped and ribbed loo pull with a replacement brass chain fitted. This unusual example has a transfer registration number to the neck for the year 1889. Some minor chips, otherwise complete and in good and working order, with the brass polished and lacquered, although the lacquer may be removed at no extra cost. Handle 4" x 1.75" diam and plus chain 20". 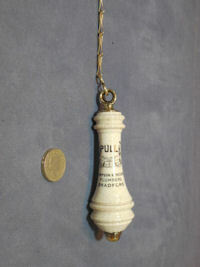 Original, quality 1920's shaped off white ceramic loo pull grip, fitted with a length of replacement brass chain. This unusual example has black transfer printing to the front detailing 'Pull' and "Simpson and Moore Plumbers Bradford" for the original supplier/fitter of the toilet system. This pull was originally used on high level toilet cisterns but now is also ideal as a bathroom and loo light pull. Some crazing to the glaze, consistent with age but otherwise complete and in good and working order with the brass polished and lacquered, although the lacquer may be removed at no extra cost. Grip 4.75" x 1.5" and chain 24" long. Total length 28.75". 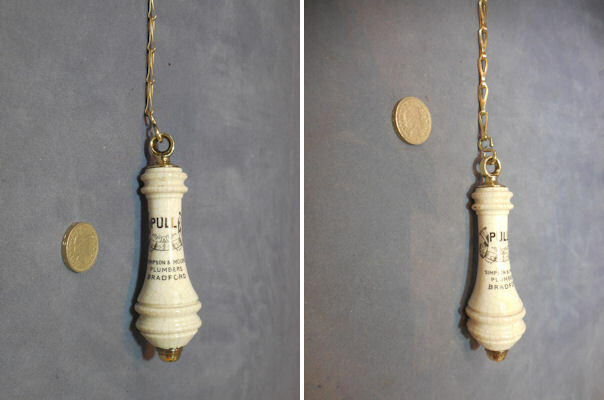 Original, quality 1920's off white ceramic loo pull with a replacement brass chain fitted. The pull is transfer printed to the front "Pull" in upper cased black text with a ribbon swag design. 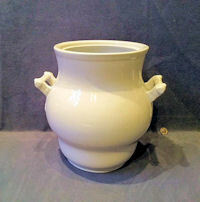 This pull was originally used on high level toilet cisterns, but now is also ideal as a bathroom and loo light pull. One chip to the reverse otherwise complete and in good and working order. Pull handle 5" x 1.25" and 23.5" brass chain. 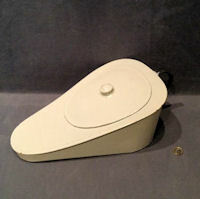 Original, quality off white ceramic loo pull with a replacement brass chain fitted. 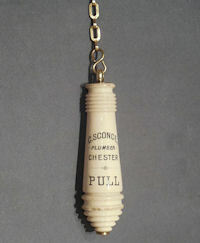 The pull is transfer printed in sepia text "Pull" and has the registration number for the year 1887 all within a ribbon swag design. 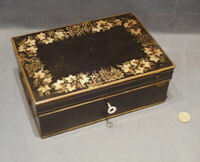 Some chips to the reverse otherwise complete and in good and working order and the brass chain has been polished and lacquered, although the lacquer may be removed at no extra cost. Pull handle 4.5" x 1.25" and brass chain 24". 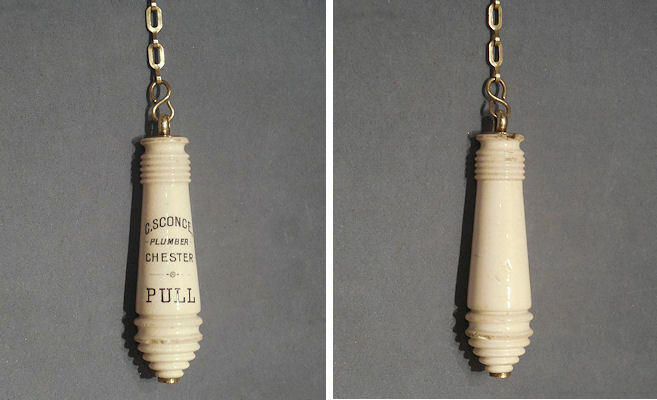 Original, quality, off white ceramic loo pull grip, circa 1900, transfer printed "C. Sconce Plumber Chester" and "Pull", fitted with a length of replacement brass chain. The brass has been polished and lacquered, although the lacquer may be removed at no extra cost. Two minor chips, otherwise complete and in good and working order. Pull 5" x 1.25" + 26" chain. Original, quality, post war sheet brass nameplate engraved "Ladies" in upper case with black infill and with four countersunk screw holes for mounting. Polished and lacquered, although the lacquer may be removed at no extra cost, complete and in good order. 7" x 1.5". Original, quality late 19th century brass umbrella raill. 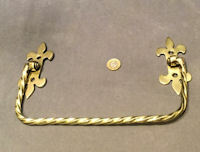 This example has a pair of 'Fleur de Lis' cast brass backplates, each with two countersunk screw holes for mounting and a plain brass bar. If mounted one way up the rail will remain up and out ideal for a towel and if mounted the other way it will remain hanging down. Polished and lacquered, although the lacquer may be removed at no extra cost and complete and in good and working order. Price is for each. 11.5" widest + 5.5" tall when flat. Backplates 4.5" x 1.75" + 4" front to back out. 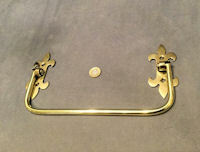 Original, quality late 19th century brass umbrella rail. This example has a pair of decorative cast brass backplates, each with two countersunk screw holes for mounting and a ropetwist brass rail. The backplates are in the form 'Fleur de Lis' and the reverse is impressed with the sun logo and "WT&S" for the manufacturer 'William Tonks & Son of Birmingham'. If mounted one way up the rail will remain up and out ideal for a towel and if mounted the other way it will remain hanging down. Polished and lacquered, although the lacquer may be removed at no extra cost and complete and in good and working order. 11" widest + 6.5" tall when flat. Backplates 4.75" x 2" + 4.75" front to back when out. 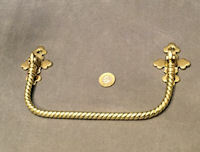 Original, quality late 19th century brass umbrella rail. This example has a pair of decorative cast brass backplates, each with two countersunk screw holes for mounting and a ropetwist brass rail. If mounted one way up the rail will remain up and out ideal for a towel and if mounted the other way it will remain hanging down. Polished and lacquered, although the lacquer may be removed at no extra cost and complete and in good and working order. 10" widest + 5" tall when flat. Backplates 3" x 2" + 4" front to back when out. 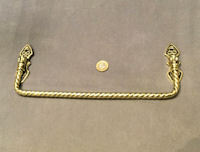 Original, quality late 19th century brass umbrella rail. This example has a pair of decorative cast brass backplates, each with two countersunk screw holes for mounting and a ropetwist brass rail. If mounted one way up the rail will remain up and out ideal for a towel and if mounted the other way it will remain hanging down. Polished and lacquered, although the lacquer may be removed at no extra cost and complete and in good and working order. 12" widest + 4" tall when flat. Backplates 3.5" x 1" + 3.5" front to back when out. Price is for each. 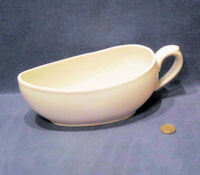 Original, quality late 19th century large white ceramic slops pail with a bellied shape and simulated twig side handles. 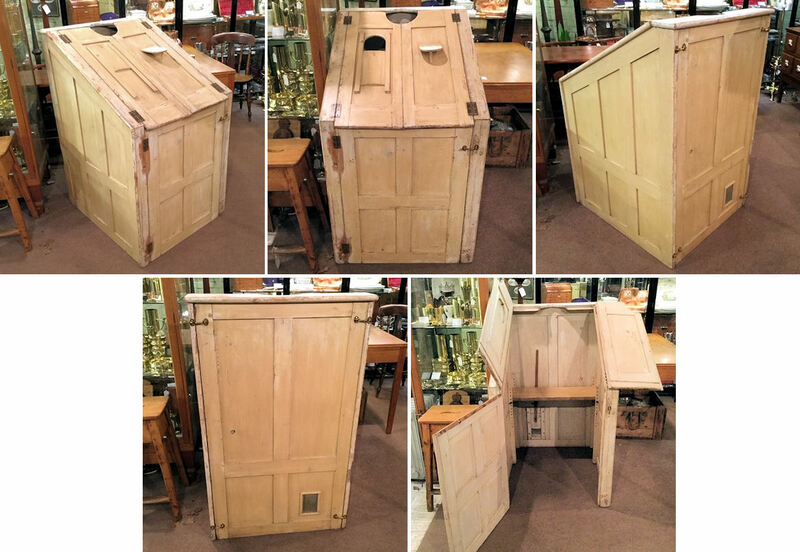 These slops pails were original part of the jug and basin toilet set of grander proportions and would have had a lid, otherwise all is complete and in good order. A great planter or waste paper bin. 12.5" tall, 11.25" body diam and 13" wide including handles. 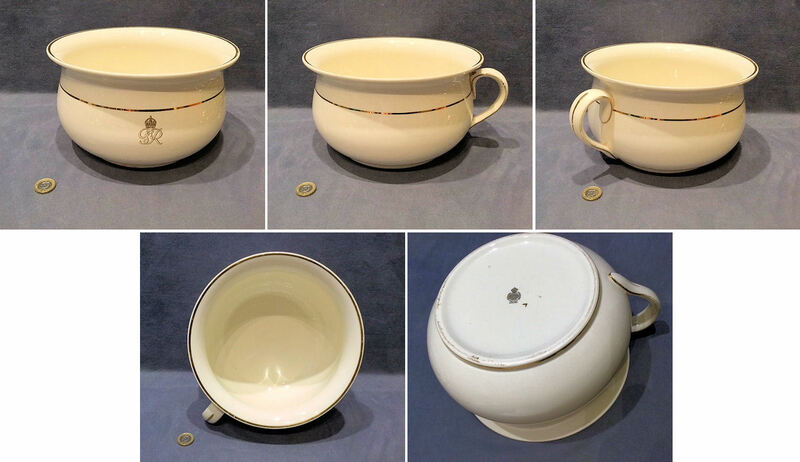 Original, quality, late 19th century, large white ceramic slops pail, missing its lid and with some minor damage, but a great looker otherwise. This example has a bellied body, two side handles and a band of pink roses, green leaves and gilt lining. One chip to the top rim, one small star crack to the side and some hairline cracks to the underside. The underside is impressed for "Minton" the manufacturer and also transfer printed for the same. 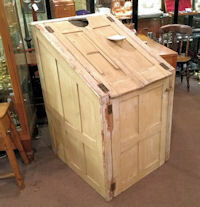 A great looker, ideal as a jardiniere or a waste paper basket, but I do not advise filling it with liquid. 12.5" tall, 11.5" diameter including handles + top aperture 7.25". 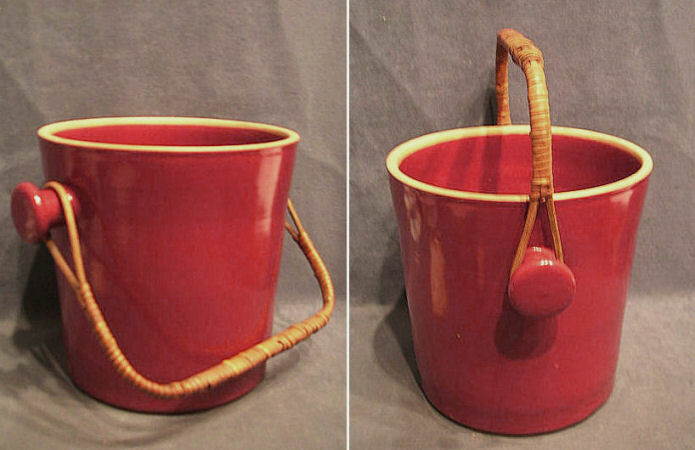 Original quality, 1920's, stoneware slop's pail in a pastel red colour and with an original woven cane swing handle. Printed to the underside 'Bourne Denby England'. Would have had a matching lid with a sloping hole to the centre originally, otherwise all is complete and in good order. 10" high with handle down, top diameter 9.75" and 8.2" base diameter.